This Plant-Profile is a individual expression by shaman, uploaded at the 03.02.2011. Initiation of flowering onto around 20 cm. - Final Height onto around 60 cm. less to average; long as well as strong and vigorous. 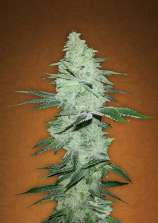 The dried buds are rockhard and extremely compact.